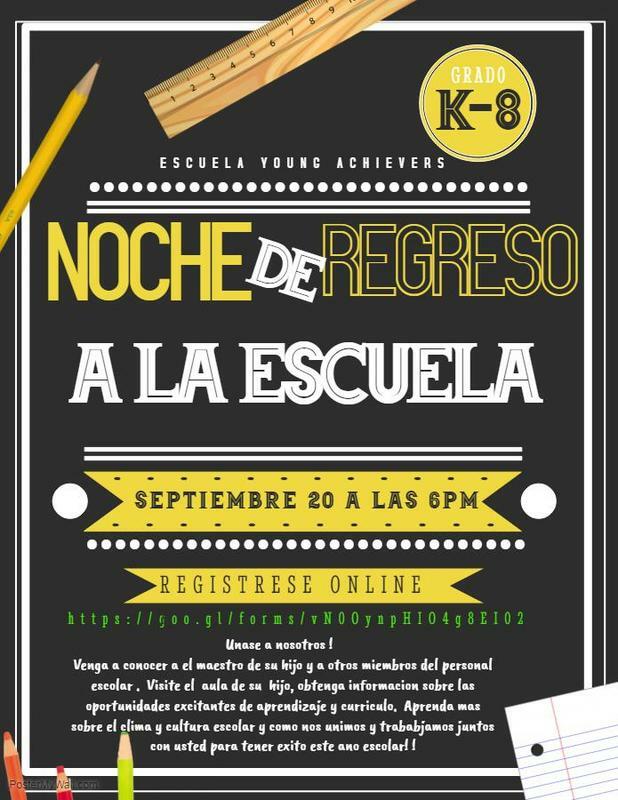 Join us for our Back to School Night on Thursday Sept 20 from 6p to 8p at Young Achievers! All K-8th Grade families are encouraged to come, meet administrators, your child's teacher and other school staff. Learn about school year academic expectations, obtain curriculum information and exciting opportunities available for our scholars. Meet YA parent leaders and other parents in our school community. 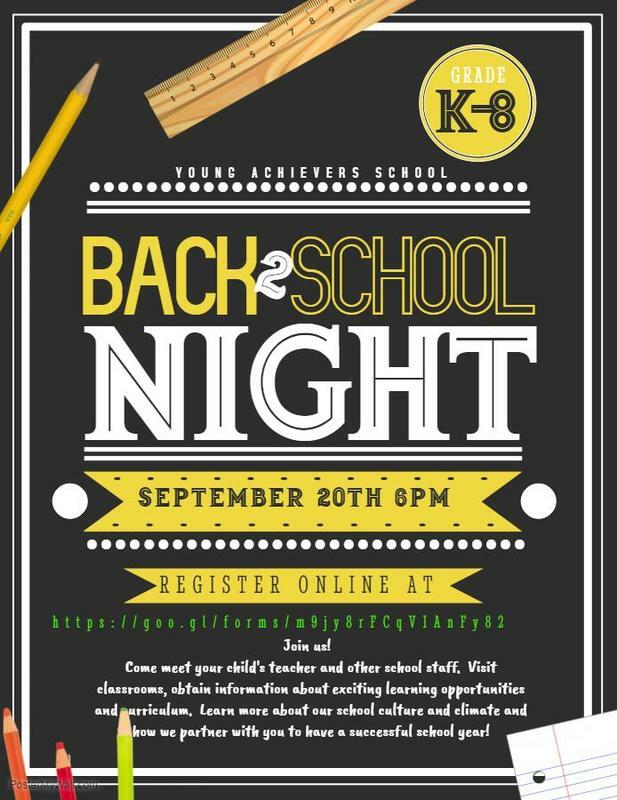 Please complete this form to let us know that you will be attending Back to School Night. Complete one for each child. Please note we will not have child care at this event, children will need to remain with you at all times. Sorry for the inconvenience! Por favor complete este forme si usted va asistir el evento de noche de regreso a la escuela. Complete el forme por cada niño. Por favor también tenga en cuenta que no tendremos cuidado de niños esta noche. Su niño(s) tendrá que permanecer con usted durante todo el evento.